The purpose of MadCap Ventures is to allow niche education technologies from universities the opportunity to advance to market. The u-to-b (university to business) model is not new. It has been done thousands of times with thousands of products. However, 60 to 70 percent of university inventions and products never make it to market. Why? Because they are not multi-million dollar products. Most investors coming to the university want only big money products (drugs, technology, engineering) while many university products are smaller niche market products. Of the 60 to 70 percent that don’t get licensed, probably 10 to 15 percent are still solid products. This is our specialty—the smaller, market-viable product. David is an accomplished entrepreneur. He has held a variety of management and hiring manager positions at multiple industry-leading companies and has applied his knowledge to Perpetual Technology Group. David has lead international organizations to growing success, including his role as Managing Director in Bangkok, Thailand. 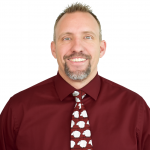 David has taught multiple skill development courses for over two years at Provo College and is currently on the advisory board for the online college, Stevens Henegar. He is an active member of numerous professional associations, such as IEEE, ITS, ACTFL, and CALICO, among others, and uses this experience when training clients. David is an accomplished motivational speaker and personal branding consultant. 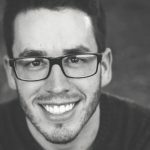 Alec recently graduated from Utah Valley University with his bachelor’s degree in marketing with a minor in business. With nearly ten years of experience working with diverse clients throughout the world, he is thrilled to add his skills to the MadCap team and help bring these technologies to market. As director of business development, he works closely with the clients to organize and simplify the process and execute strategy to help penetrate the market.